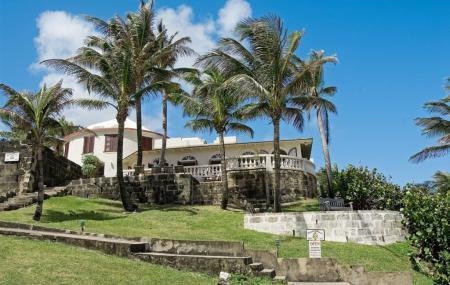 A historic oceanfront inn and restaurant in Bathsheba, the Round House has been a popular destination for locals and visitors alike for over 100 years. Along with spectacular views of the entire Atlantic coast, the restaurant also offers delectable food and drinks. Serving Continental Caribbean cuisine, the place has indoor as well as outdoor seating. A must visit and eat at while on your Bathsheba holiday! Walkable distance from Bathsheba city centre. How popular is Round House? People normally club together Andromeda Botanic Gardens and Bathsheba Beach while planning their visit to Round House. People also prefer to end their day with Round House. Enjoyed a wonderful lunch in the cool breeze of the east coast. Good food and fantastic location. Great place to relax and unwind. At low tide you can relax in the tide pools and stroll the beach any time. Watch the surfers at world famous "soup bowl". Nice view overlooking the Atlantic. Very secluded yet warm and cozy. The staff and service extremely friendly and the food was great. The food was great had the catch of the day and fish cakes, my husband had the burger, my mom the fly fish and coucou,and my girls shared the green bowl. They were all delicious. Service was quick and helpful, we came with a 9 month baby and a 4 year old, and felt welcomed. And then there is the view, just amazing. This review is for the restaurant only. Food is okay and the service is horrible. They had use waiting for extended period of time between each order. It was to the point where I got up to go to bar to pay but no one was there. Nice views while eating but not worth coming back to.